Zach is from the greater Richmond area. He graduated from Godwin High School in 2002 and went on to attend Randolph-Macon College for his freshman year where he played lacrosse. In the fall of 2003, Zach transferred to the University of North Carolina, Wilmington and earned a degree in business marketing in December of 2006. After graduating, Zach remained in the Wilmington area, residing in Wrightsville Beach where he worked at The Dockside Restaurant. In 2009, he decided to return to school and earned a dual degree in International Master of Business Administration from UNC-Wilmington and the University of Valencia, Spain in December of 2010. Upon his return to Richmond in January of 2011, Zach accepted a sales managerial position with Thomas Scientific. While with Thomas Scientific, Bland approached Zach about joining the family business. 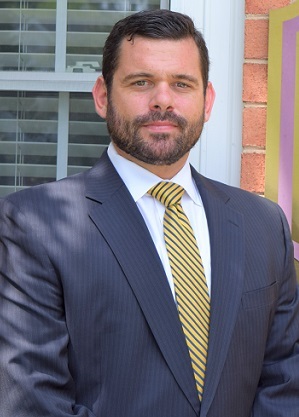 After obtaining the necessary licenses and registrations, Zach joined Old Dominion Insurance Solutions, LC to begin his practice as a Financial Advisor. Zach has a passion for working with clients to assist them in meeting their goals and feels he has truly found his calling. Zach is an avid sports fan. He serves as head coach of the Godwin High School Boys Lacrosse team and is the Director of High School for the Venom Travel Lacrosse Club. Other interests include traveling, cooking, and spending time with friends and loved ones.